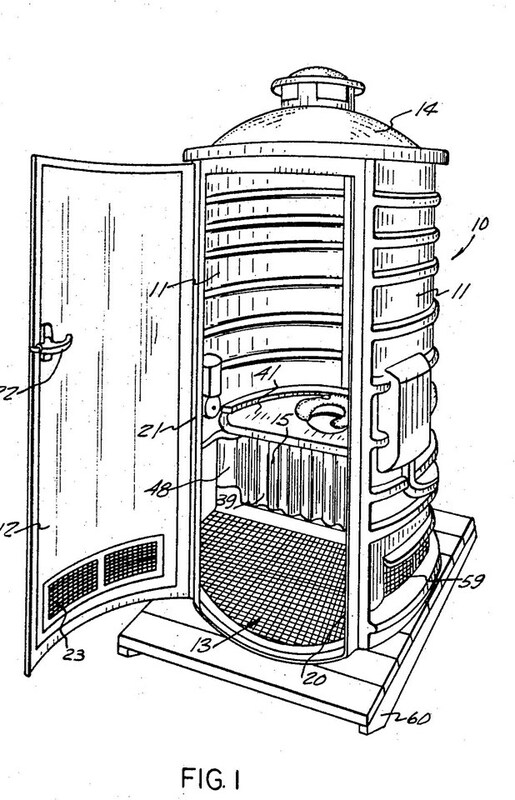 Patent number 3,447,167 described a portable toilet cabana that would be made out of a rigid plastic rather than wood or metal. Photo courtesy PolyJohn. They appear around the globe at festivals, work sites, and even some far-flung places. 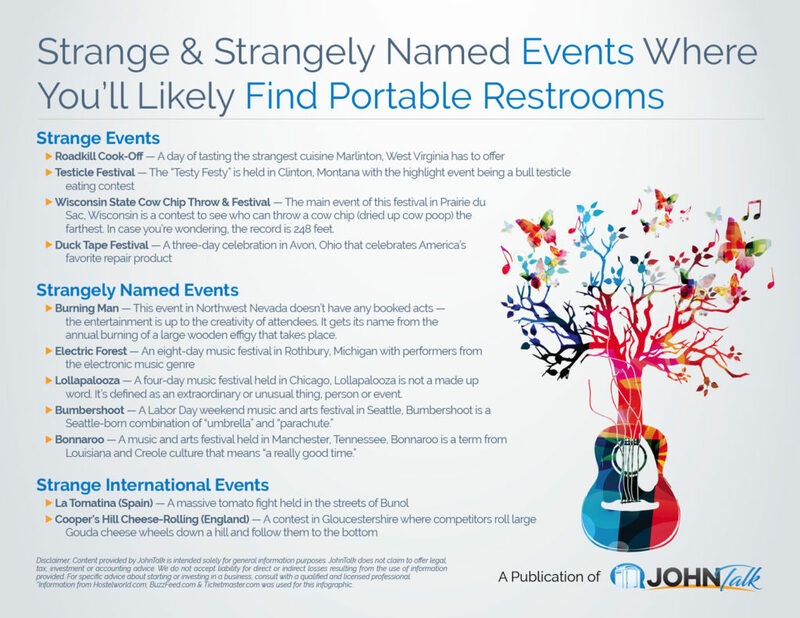 They go by different names: porta-potties, porta-johns, porta-loos (in the United Kingdom). But where did it all begin? Who developed the first porta-potty? And how did they become so popular? We’ve written a brief history of portable toilets to answer all the questions that have been keeping you up at night! You might be surprised to discover that the origins of the porta-potty are heavily linked with the shipbuilding industry. In the 1940s, George Harding was an instrumental figure working on the Liberty ships. He noticed a problem: lots of time was being wasted because shipbuilders had to trek all the way back to the docks whenever they needed to use the toilet. His solution: temporary toilets were built on the ships. These first porta-potties weren’t ideal. They were made from wood and metal and resembled outhouses. They were heavy, making them hard to move and empty out once ashore. Deodorizer wasn’t around yet, so the smell was a common complaint. But it was a start. By the 1960s, Harding was working in the burgeoning fiberglass boat industry. He used his expertise and began developing fiberglass temporary toilets, which soon replaced wooden ones. They were lighter and easier to move, yet the fiberglass trapped odors, meaning smell was still an issue. They were also fragile and could easily break. Thankfully, deodorizers were soon invented, though they contained formaldehyde unlike today’s ones, which are cleaner and better for the environment. Around the same time, Harding got into plastics. 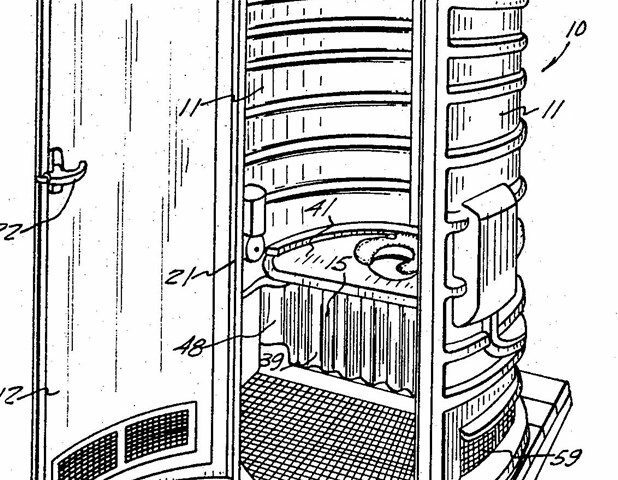 When the first U.S. patent for a polyethylene portable toilet was issued, whose name was on it? George Harding. He went on to become the co-founder of PolyJohn Industries, which is still going strong today. These plastic porta-potties sparked the industry boom and shaped the portable toilets we now know. As they were made from different parts, they could be better transported by manufacturers, replacement parts could be purchased, and repairs more easily made. Now that porta-potties were more durable and odor was less of an issue, companies began popping up all over the world. In the 1980s, the industry diversified further as portable trailers came on the scene. The first one was an eight-stall trailer with three urinals and was 32 ft. long. Trailers continued to change, adding features like flushing toilets, sinks with running water, urinals, hand sanitizers, and air conditioning. 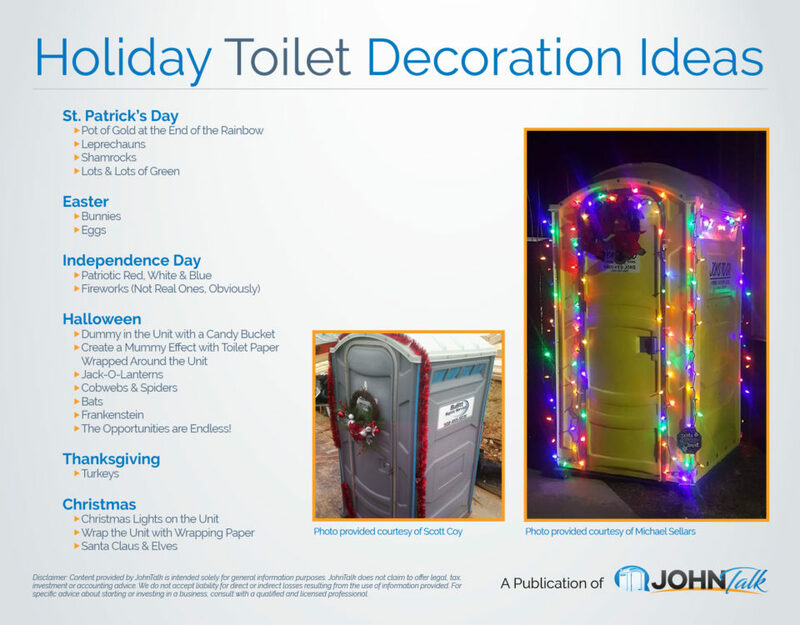 The industry continues to be innovative, adapting to include ADA-compliant porta-potties and other variants. 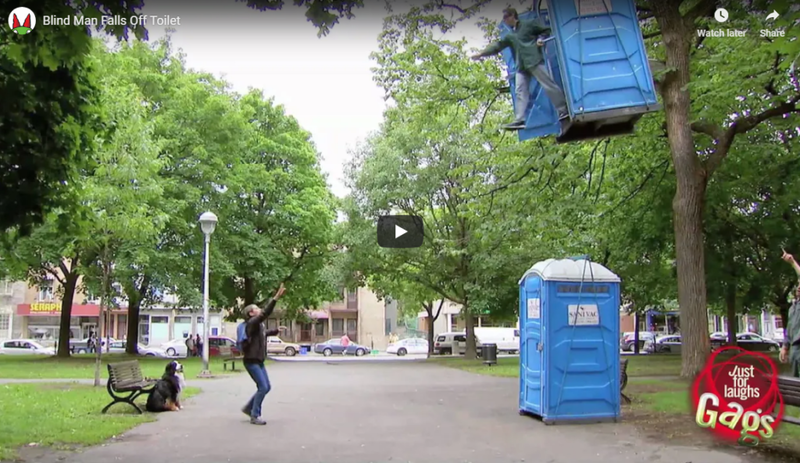 Crucially, the porta-potty is becoming valued as a solution to some of our most pressing challenges. They’re increasingly used in developing countries where proper sanitation can be hard to come by, they’re invaluable in emergency response situations, and they’re helping the planet – PSAI says porta-potties save 125 million gallons of fresh water every day. The future of the porta-potty is brighter than ever.